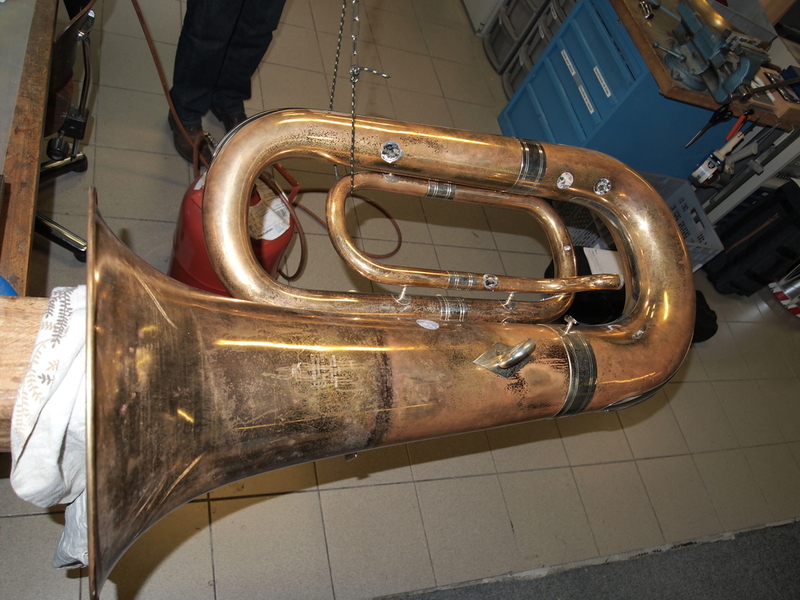 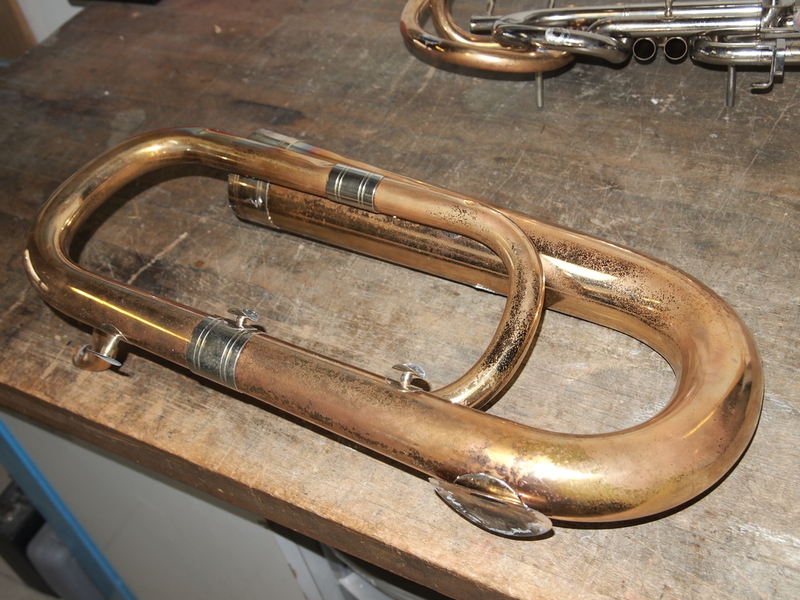 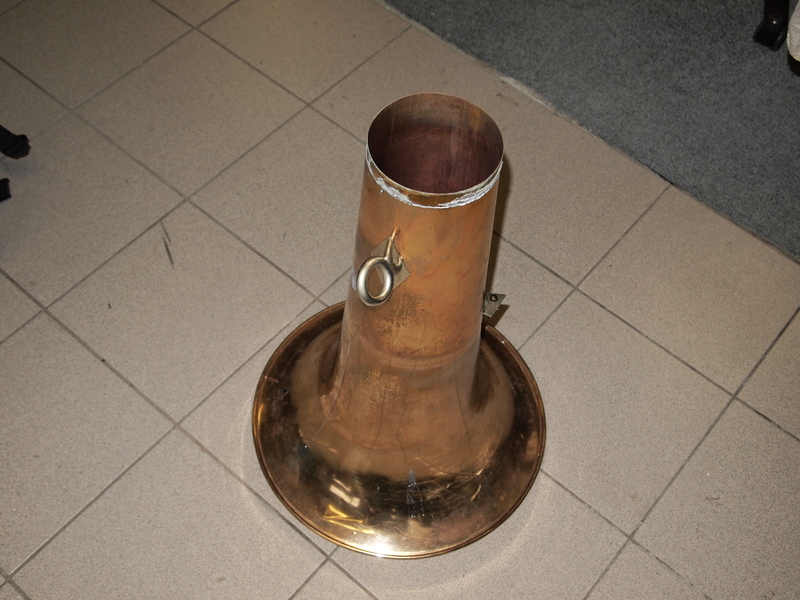 We have to replace a bottom bow on a Tuba after an accident. 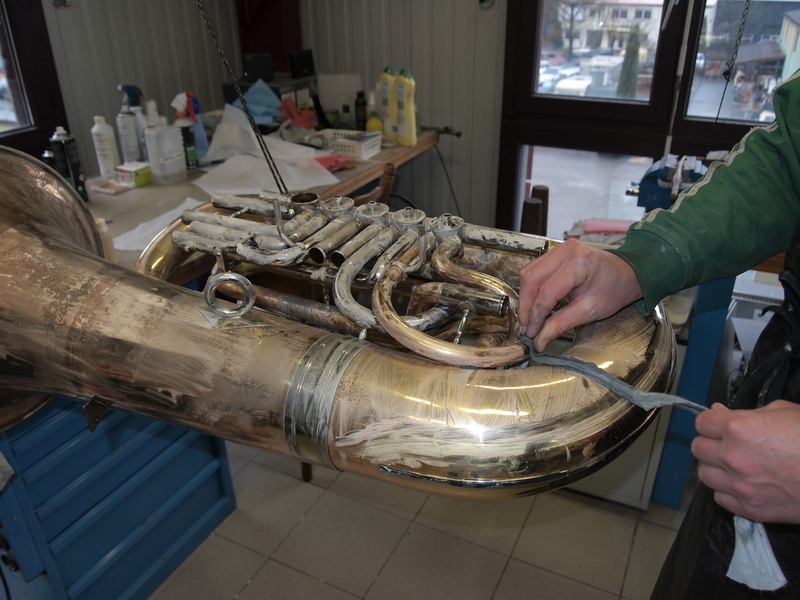 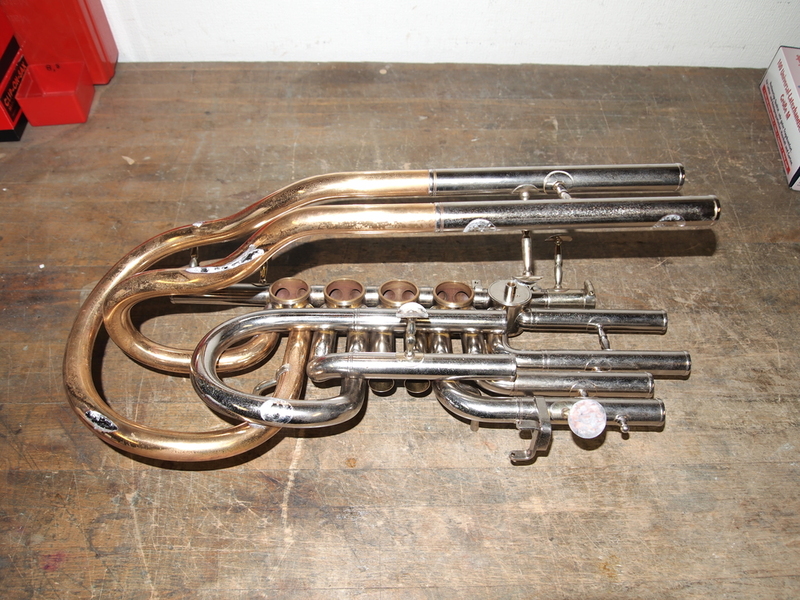 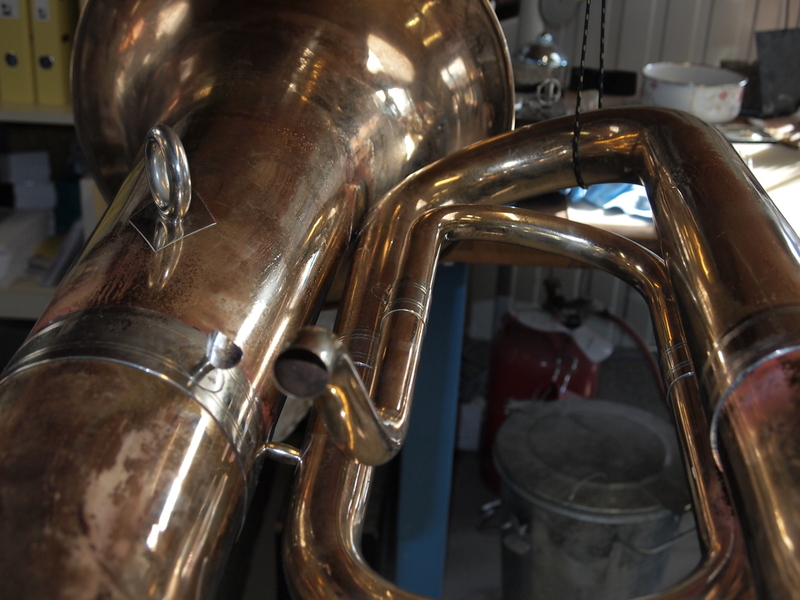 It's a big job and we've almost do a complete dismantle on this instrument. 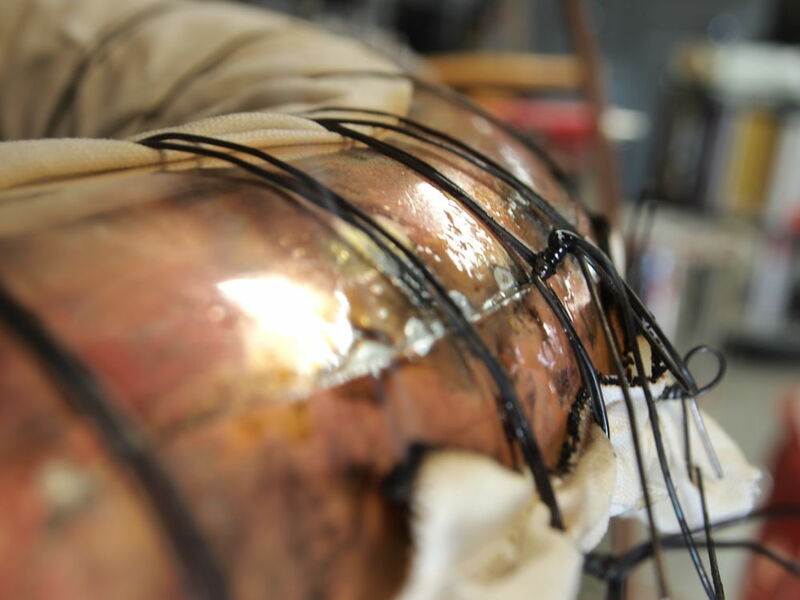 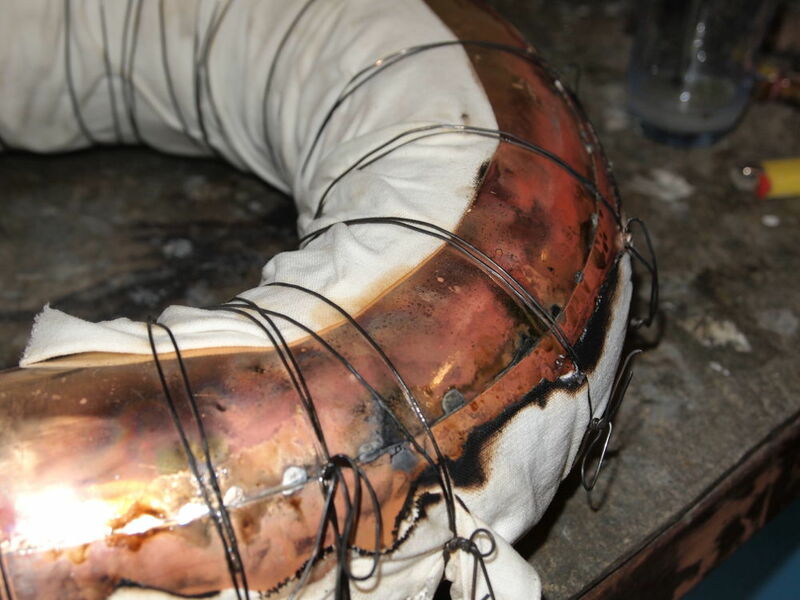 After removing the bow, we removed the bumps, we adjusted the reinforcement and welded. 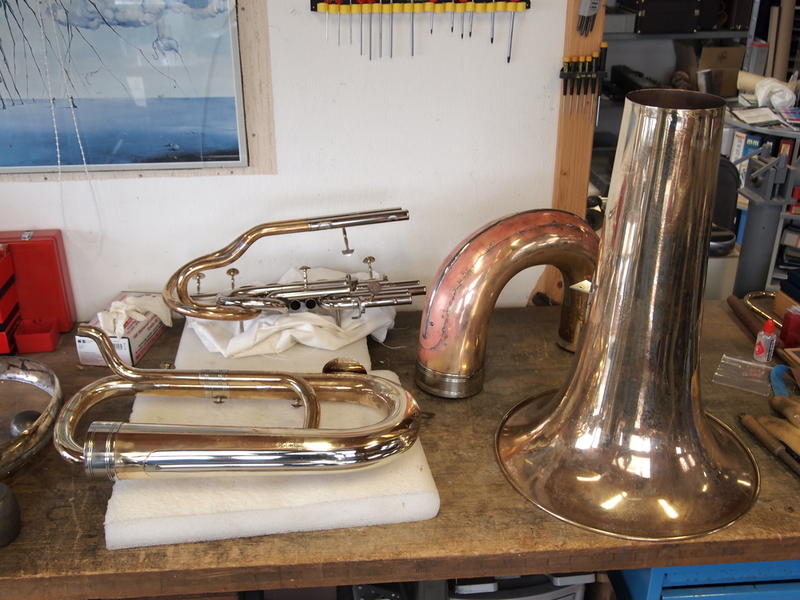 Reassembly step. 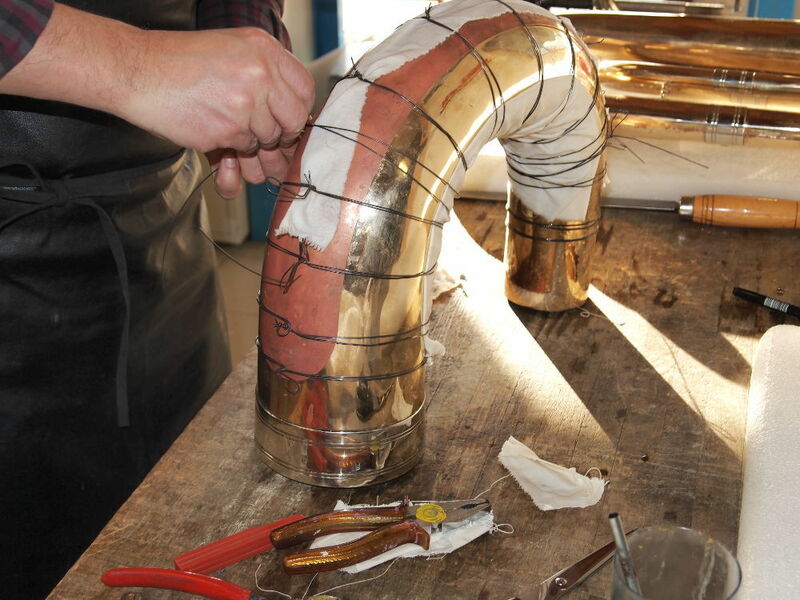 We have to be rigorous and precise to weld all at the exact position, as everything needs to fits perfectly.